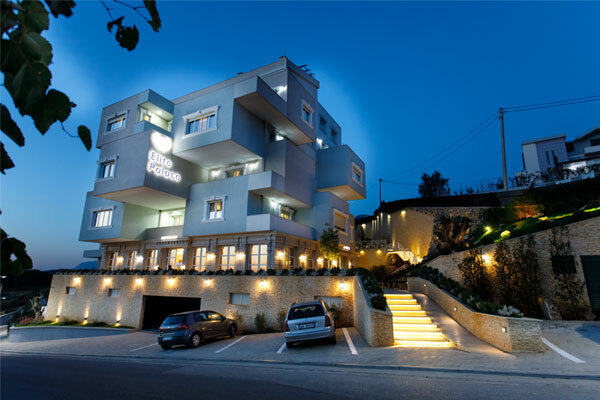 A new modern hotel is added to Tirana. 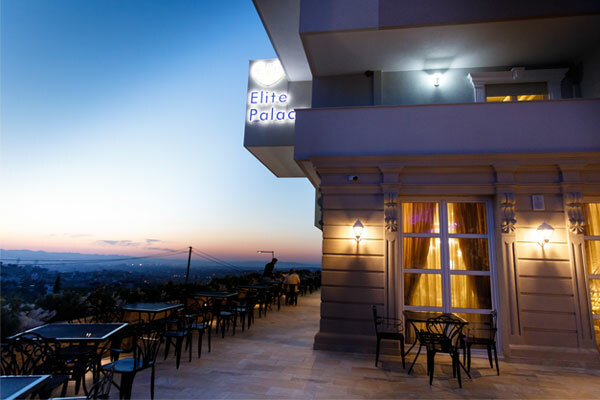 For all of you who plan to visit Tirana in 2019, Elite Palace hotel is one of our recommendation. 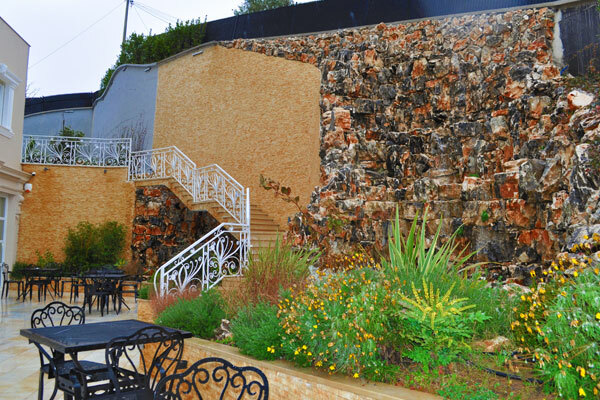 A luxury hotel situated close to Dajti Mountain, in a hill between Farka and Surrel villages. To go to Elite Palace, take the road from Elbasani Street to Ali Demi, and then reach Shkoza, or former factory “Autotraktoreve”, 100 metres above News 24 television. 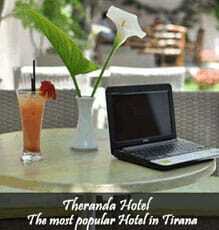 You reach this place for only 12 minutes, and you see Tirana in the palm of your hand. From the other side you see Farka Natural park and the lake with very characteristic shape. To reach the lake and its pedestrian line, you have to walk just for 5 minutes. As you arrive you feel the fresh air, the quiet place away from the city noise. 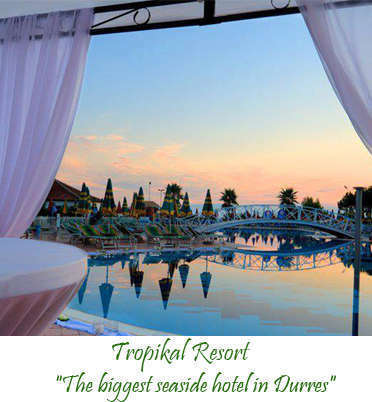 The exceptional thing of this resort is the total relax for everyone want to spend some time in a quiet place, close to the city. In the entrance you see the water falling from the rock, creating a nice sound inviting you to a place in synchrony with nature. All the rooms of the resort, (42) have city view windows. When the night comes the view of city lights is amazing. As you enter inside you feel that everything is curated in detail. The most used colors are in gold and white. The rooms have very modern furniture, everything is ecological. The walls are painted with eco colors too. 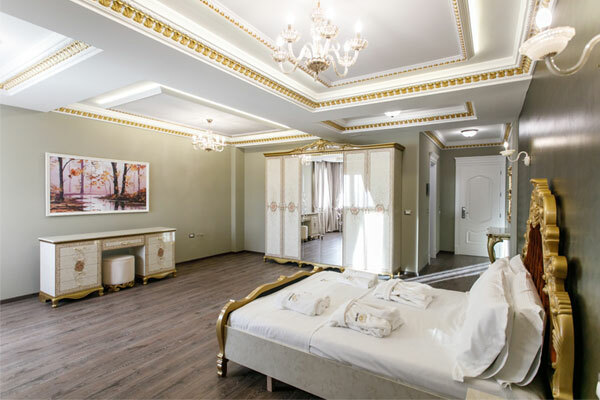 From superior rooms, to junior suites and luxury apartments, each of them has special décor, different from others. The resort is surrounded by a beautiful terrace, where you can sit and have a coffee or a drink and enjoy the view. Another veranda is in the back side for people who want more intimacy. The restaurant is one of the strongest points of this resort. The food is delicious. They serve not only to their guests, but also to everyone who want to have a good lunch. The Mediterranean cuisine offers you excellent taste with amazing décor. The price is very affordable. 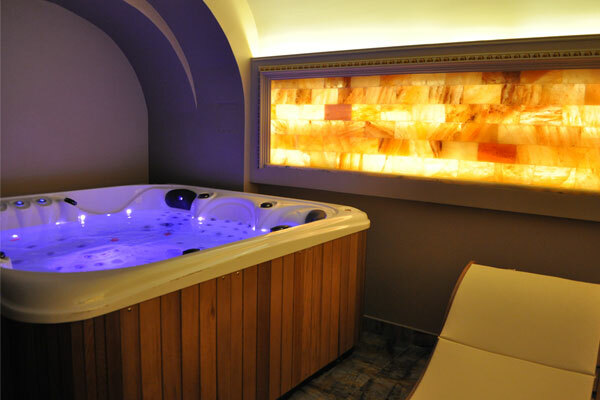 The cherry on the pie is SPA with sauna and Jacuzzi, all with the latest technology. 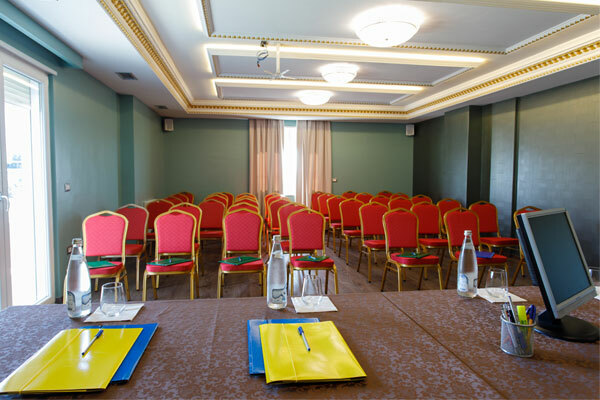 It is included in the room price for all the guests, to give them the total relax they deserve.